A variety of services to help your oral health are available at our Novato dentist office. Our goal is to keep your smile looking great while ensuring your oral health is cared for. We help with tooth decay, gum disease, TMJ and bite issues and much more. As the dentist Novato residents trust with their preventative dentistry and cosmetic needs, look to us if you have a problem. One common complication that comes up is gum disease and nearly half of all Americans have had symptoms at one time or another. A wonderful smile starts at home with preventative dentistry techniques like brushing and flossing. Brush two times a day and floss at least one time. Visiting our Novato dentist is another part of preventative measures. These actions keep your teeth free from tooth decay and cavities and your gums healthy too. If we do see gum disease or gingivitis, we can catch it early and reverse much of the problem. Waiting too long to seek professional help will later cause the need for far more invasive procedures. Poor oral hygiene habits result in some oral health complications. Gingivitis is the start of periodontal disease, or gum disease. 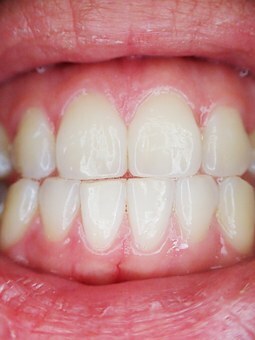 In its early stages, gingivitis is the inflammation of gum tissues, red gums, swollen gums, and gums that bleed easily. This is from the plaque on your teeth irritating the area and allowing bacteria to cause problems. If this plaque isn’t removed with brushing and flossing, it later hardens to become tartar. This is the more advanced stage of gum disease. At this point, your gums are receding, teeth are becoming loose, and your gums are bleeding more frequently. At our Novato dentist office we know that early detection is the key to preventing periodontal disease. If you experience sore gums or symptoms such as bleeding and red gums, give us a call. We can help with early intervention treatments so your smile is not compromised. If you have ignored the warning signs, we can also develop an oral treatment plan that will help minimize the damage from gum disease. If it’s been awhile since your last visit with our Novato dentist and you are experiencing the any symptoms of gum disease, give us a call. The faster we work together to address your periodontal disease, the better your smile and health. Join us onFacebook to learn more and schedule your dental exam today so that you can avoid periodontal disease.